Why don’t you grab a cup of coffee and we’ll chat? I love to blog about important things, but there’s nothing more fun than having a simple chat with a friend over a cup of coffee. On this blog, I want to take a moment here and there to just chat. The subject matter is wide open. Let’s just get to know each other. Today I want to share a little bit about home. We’ve had a hard winter this year, but there’s no prettier place in the snow than my place. Here’s the view out my kitchen window. This photo was taken just a few weeks ago. 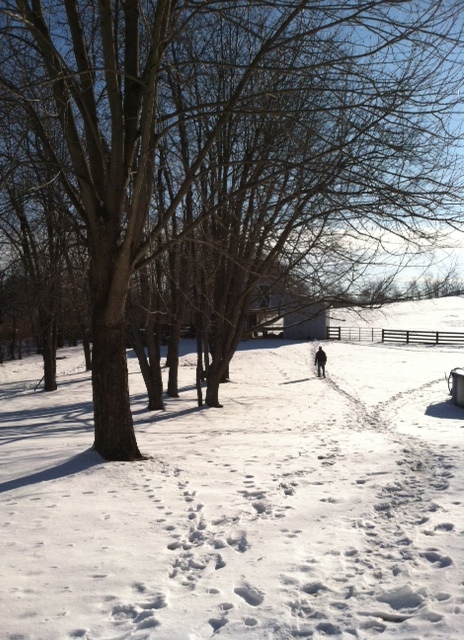 You can see my husband, Bob, heading out to the barn to feed the animals. Just as pretty as the view out my back window is the view out my front window. Here’s the view from the dining room. We eat most of our meals in the dining room during the winter and my place at the table looks directly out this window. 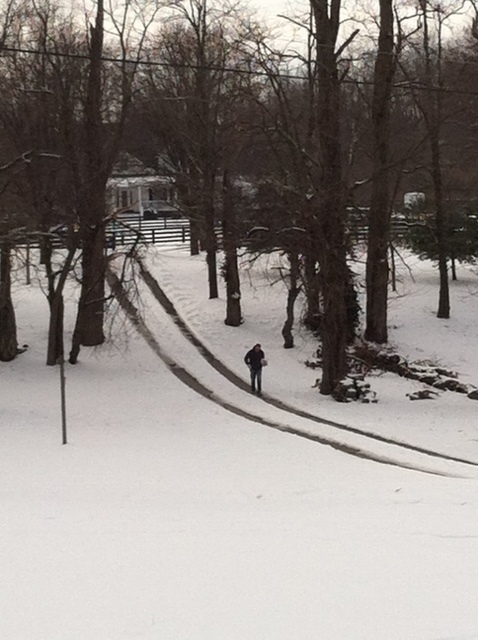 In this picture, you can see Bob walking back to the house from getting the mail. We have a bevy of animals on our place. 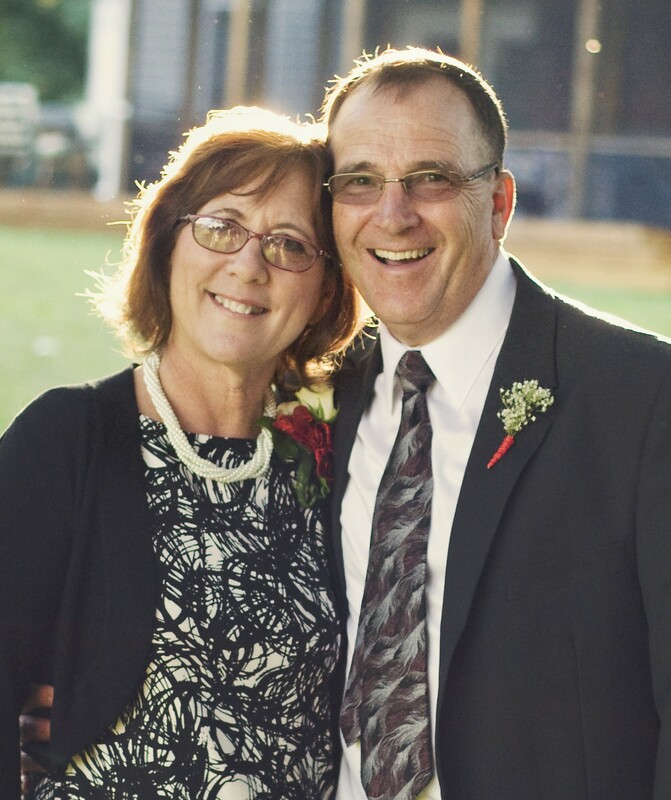 Bob, a farm boy from way back, loves them and takes care of them diligently. I’m not much of an animal person, but I like having them around. They’re fun and funny and beautiful to look at. Currently, we have two cats, a dog, a pig, three alpacas, one llama, and a few chickens. 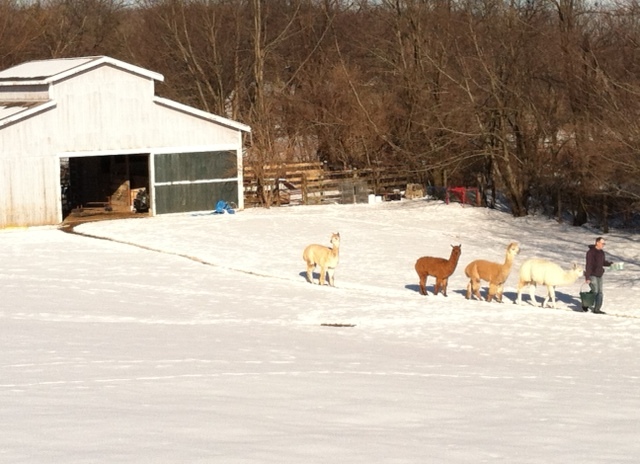 Here’s Bob leading our llama and alpacas out of the barn. As the snow melts and winter turns to spring, the views from my place get even more beautiful. I can’t wait to share them with you.